A little taste of Germany on the mountain. This culinary gem doesn’t disappoint. This is our breakfast place when we visit. You HAVE TO try the maple bars. Amazing. Nothing beats these dogs. It’s too bad they’re only open in the summer! Another Sandy restaurant that’s worth the stop. A pit stop every skier and snowboard must make on their way up to the mountain. Take a break from skiing and enjoy the historical décor of the Timberline Lodge while enjoying a hot cocoa or a Spanish coffee. A local favorite, Especially after a long day on the slopes. One of our favorite places to eat when we visit the cabin. 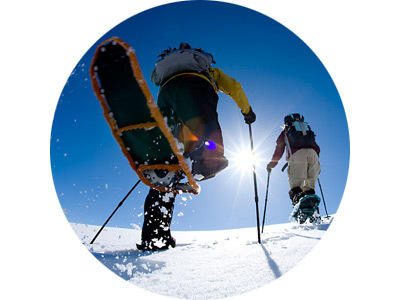 Skiwear, snowboards, snowshoes and more! Since 2006, the Govy General Store is the go to spot for grocery needs while you’re on the mountain. There’s an in-store bakery, deli, liquor store and wine department – it truly is a one stop shop! Open 7:00 am to 8:00 pm daily. Great for summer gear too! While visiting Mt Hood, be sure to check out the historic Timberline Lodge. Walk the halls that have welcomed Presidents and First Ladies and have been the backdrop for major motion pictures. The resort is home to the first chairlift in Oregon and the second ever built in the United States. The Lodge celebrated its 75th birthday in 2012. It took only 15 months to build, using resources collected from the area and built primarily by hand. It was named a National Historic Landmark in 1977 by the U.S. Department of the Interior. Meadows celebrated its 40th birthday in 2008, making it the second oldest resort on Mt Hood. It was the first resort in the NW to install a reader board in Sandy – a halfway point between Portland and the mountain – to inform travelers of the slopes conditions. The resort is also committed to being environmentally conscience. All of its energy is from clean wind energy, and it works hard to minimize its water footprint. Don’t stop skiing because the sun goes down! Ski Bowl keeps the party going. 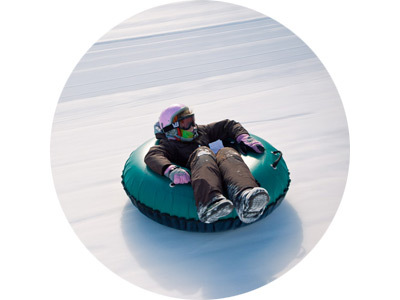 There’s night skiing and snowboarding, or you can take it up another notch and try Cosmic Tubing! 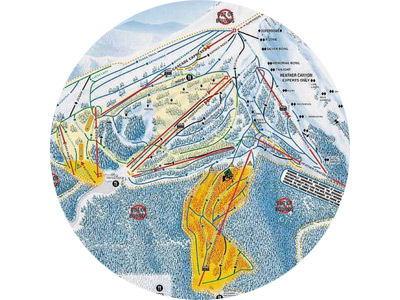 Daytime skiing and snowboarding, for the more traditional folk, is also available at Ski Bowl. Some of the best snowmobile terrain in the country. Take advantage of it! 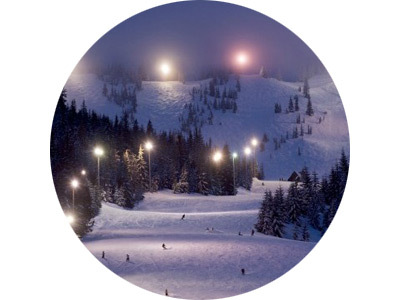 Ski Bowl offers both day and night tubing. During the holiday season, schedule with Mt. Hood Adventure. Rent some shoes or skis and explore the mountain. This link is a great place to start for rentals and courses. 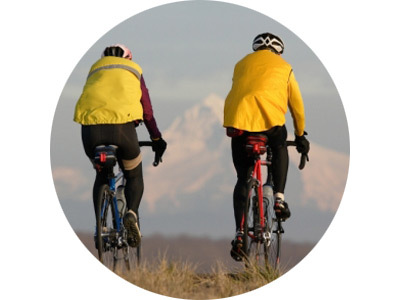 Mt Hood is beautiful all year round, and there’s no better way to see it than hiking the trails. Here are some hikes for all skill levels! The only ½ mile dual Alpine Slide in the Pacific NW. A different way to fly down the mountain. A photographers dream! A tad bit cold for swimming, this lake is great for fishing and boating. Before you leave town, rent a canoe from one of the shops so you can cruise around the lake. 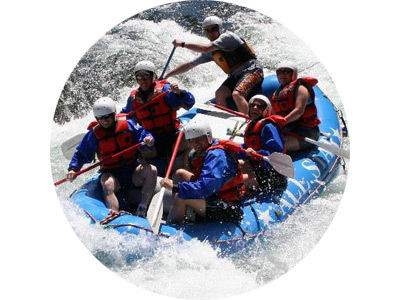 Rafting on the Clackamas, Sandy and Deschutes Rivers – you’re a quick drive from some of the best rafting in Oregon. Contact one of the companies below and plan a rafting trip!